As we all know Youtube.com has been one of the larger mobile players in the mobile world. People go to this website to what DYI videos, music videos and more importantly catch up with their favorite brands. 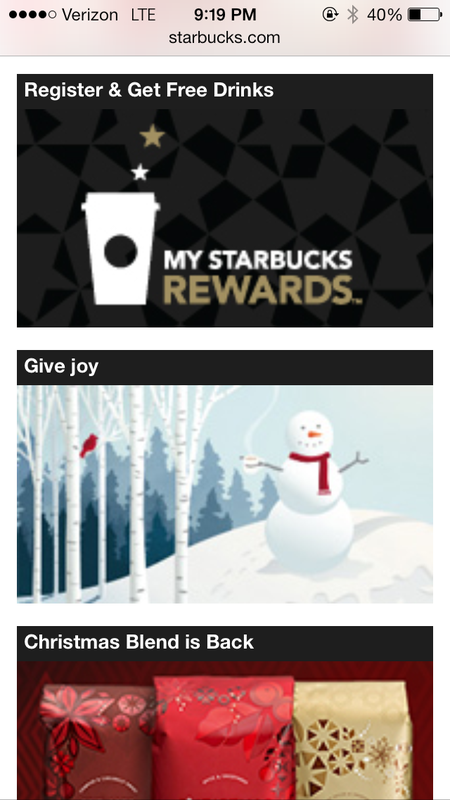 This video above is just one of the beautifully crafted video's that Starbucks has done. I dont know about you but this one made me feel warm and fuzzy inside especially with the holidays coming up! The Starbucks YouTube channel is full of interesting videos. These videos range under different categories. Some a promotional or holiday videos like the one above but others are far more to the channel than first glance. There is videos about the processes it takes to make their coffee and tea. 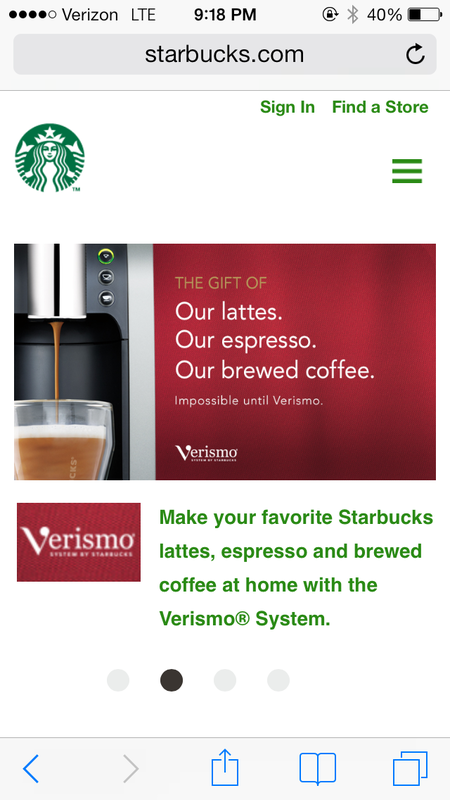 It also has step by step directions on how to operate their verismo coffee maker so that you can make your own starbucks drinks at home! Much like their YouTube account, their mobile optimized website is rich with information, not to mention extremely easy to do. 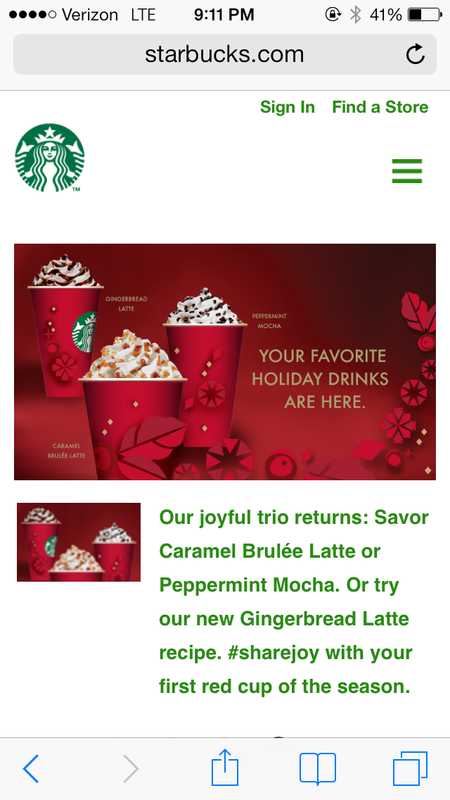 When looking at the website on your mobile phone you can tell that Starbucks has truly put in the time and energy to make sure it works properly and looks great! 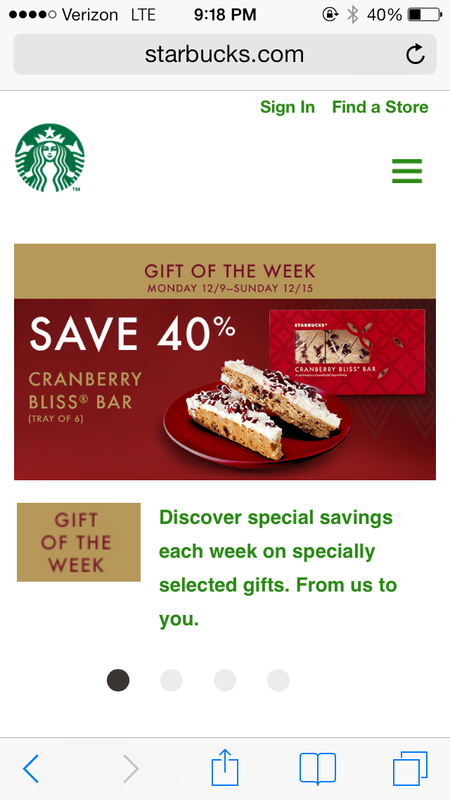 On their mobile website you can watch holiday videos, learn more about the brand and look at ways in which Starbucks is connected to giving and helping charitable organizations.